The Clan Base is the most important geostrategic site and can only be set up by Clans. In the Clan Base you can construct special buildings, conduct special Researches, and produce the unique resources you need to progress further. The Control Zone is the area around the Clan Base. 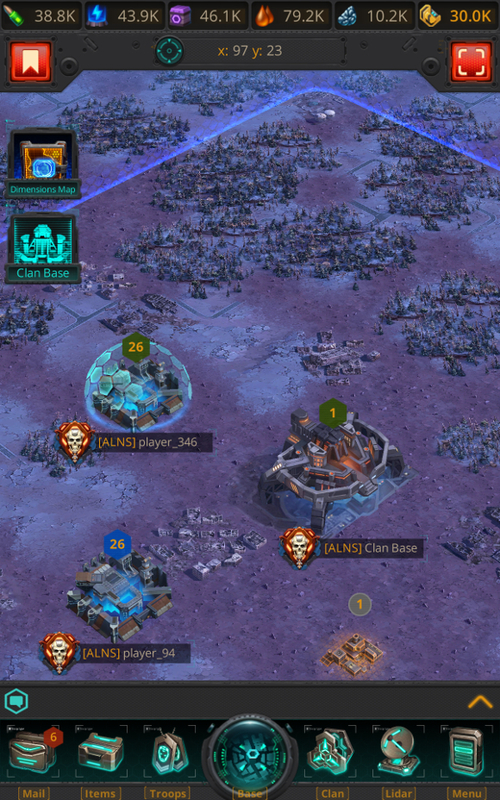 Commanders who locate their bases within the Control Zone receive additional bonuses and advantages.